Don't just protect vulnerabilities from attack; remove them entirely. Automatically applying patches and fixing insecure configurations drastically reduces the number of ways a hacker even has a chance to get in. Common software is upgraded as soon as new security fixes are released, or on a preconfigured delay. Proprietary routines detect and repair insecure configurations that can't be fixed with a patch. New packages are installed automatically at non-disruptive times, either from a WSUS cache or directly from Microsoft. Machines are rebooted after an installation finishes, and only when its safe and convenient to do so. 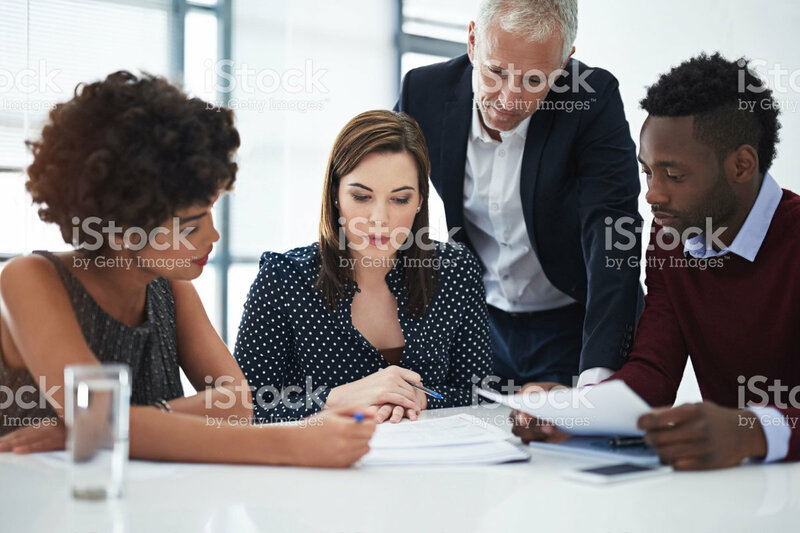 See this stock photo (complete with watermark) of an IT department having a meeting? They have the time to pay attention to more important projects because the Lithik Security Manager is taking care of all the grunt work in the background. Thoroughly, continuously, automatically. Network-wide scans, updates, reboots, fixes, and more are all handled in the background based on a powerful and flexible automation scheduler that can be customized to fit any network requirements. Total visibility has never been simpler. A single, straightforward web interface makes it easy to browse device inventory, reset user passwords, check on antivirus status, etc., rather than having to keep tabs on all of those individually. Start with safe, secure settings that automatically build and maintain network immunity against attack as soon as automation is enabled. Tweaking is optional and only takes a few minutes more. When connectivity is impaired or a device isn't cooperating, get diagnostic detail about the problem and its solution. Stay informed about errors that are occurring or minor policy adjustments that could be made to dramatically improve security. Create an actionable to-do list for technical staff. Create high-level compliance reports that prove the job is getting done. "I trust the Lithik Security Manager to keep my environment patched and up to date. The ability to reliably patch third party software has eluded us for a long time due to budgetary and time constraints; the Lithik security manager has cured that problem." "Since we installed the Lithik Security Manager we have not gotten any dings on the IT portion of a state or federal examination." "My IT staff used to stay until midnight on patch Tuesdays to get everything applied, now with the LSM they don't work late that day anymore. I would have to hire additional IT staff to cover all the things the LSM does." "I refer to LSM many times throughout the day to check inventory of devices across the WAN and get reliable detailed and current information. LSM is much more effective and useful for this than Lansweeper." "I really like the flexibility Lithik offers to customize reporting to our needs. It is a powerful window into our systems and security." "Lithik prompts and equips us to perform much needed but often over-looked network security management. It's not necessary to be a security engineer if you have their tools packaged into a nifty appliance like this." This is a graph of real customer data. This customer already had a patch management system in place, but it wasn't getting the job done. The Lithik Security Manager cleaned up the entire network in a matter of days and kept it there straight on through Patch Tuesday, bringing their risk factor nearly down to 0. That's why we do what we do. Contact us today and we'll set you up with a free trial so you can see for yourself! © 2016 Lithik Systems, Inc.